Joy Creek Photo Archive (c) all rights reserved S. Chile and Argentina. 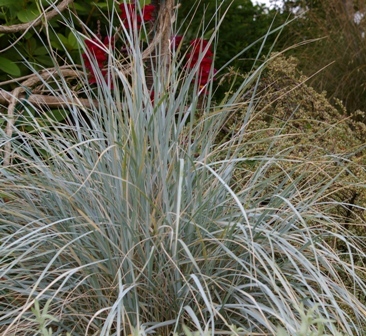 Elymus magellanicus is the bluest grass we grow. Although it can be somewhat floppy if not grown properly, it is always beautiful. Be sure you give this good drainage and sun. 6-8 in. x 12 in.